Shiv Shakti Sinks Co. is one of the well known companies of the industry indulged in manufacturing, supplying and exporting a supreme quality collection of Stainless Steel Sinks & Bathroom Accessories. Counted as one of the top notch companies of the industry, we are wholeheartedly engaged in offering a supreme quality assortment of Kitchen Sinks to the market. Being one of the eminent names, we aid to provide only premium quality assortment of products to the market. 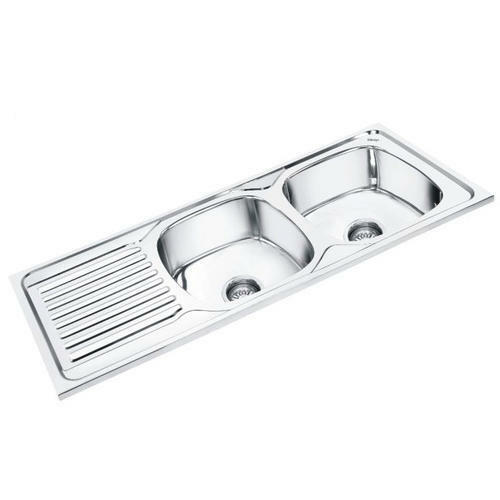 Offered by us in various sizes, specifications, dimensions and affordable prices, our offered array of products includes Single Bowl Sink, Single Bowl Sink with Drainboard, Double Bowl Sink, Double Bowl Sink with Drainboard, Double Bowl with Veg Bowl Sink, Kitchen Sink Accessories and Corner Sink.